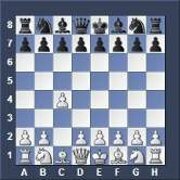 Read the following Chess Tips to get an idea about the game. There are various ideas and motifs used in a game of chess. If you are an advanced chess player this page is too easy for you, just go to other pages on my site where you can replay the best chess moves of various good chess openings on a chess viewer. It makes a big difference how you start your game. Many chess players lose because the they make bad opening chess moves in the beginning of the game. They just don't know how to start properly. To get better at chess you don't need cheap chess tricks, which don't exist, but you are required to understand chess positions at a deep level and memorize the best moves of the chess openings you wish to play. This requires your time, discipline and effort on your part. However, you need to study important chess principles with the help of a strong chess player who knows what you need to know without wasting time on reading countless chess books. 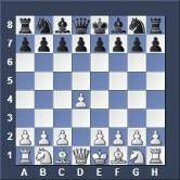 I recommend the high quality chess course for beginners and advanced players created by Chess Grandmaster Smirnov (Ukraine) and all his courses of his unique chess teaching system that teaches you everything you need to know in a condensed highly efficient way to become a top chess player quickly. I will show you the most important openings that masters play nowadays. You will be able to replay them on my site. But first get used to some basic thinking below, before you undertake learning any openings. First get a good chess set at this Indian Chess Shop or at this reputable USA Chess Store to be able to replay chess games comfortably. If you want to avoid big errors in the beginning of your game then follow these guidelines below. 2. Put your light pieces (bishops and knights) to a good square so that they control vital center squares. 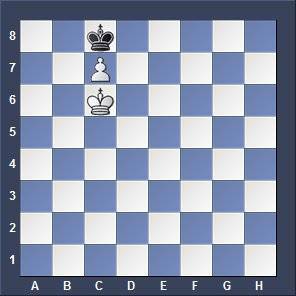 For example: Place the knights to their natural squares which are for White the squares f3 and c3. For Black the squares f6 and c6. Don't place knights at the edge of the board. 3. Don't move the same piece TWICE or more in the opening! This wastes valuable development time! 4. Don't get your queen out too early. Develop first knights and bishops and castle to bring your king into safety. 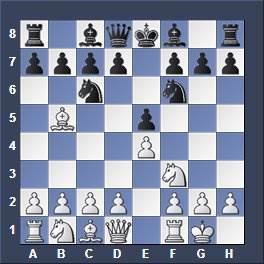 5.Don't move pawns in the opening as it is stronger to get out a knight or bishop than pushing pawns. 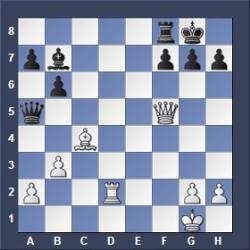 You must push the e- or d-pawn to be able to bring out the bishops and to have a firm grip in the center. But that's it. 6. Castle early to protect your king. 8.Don't attack before you have developed all your pieces. Remember: There are always exceptions to any rule. 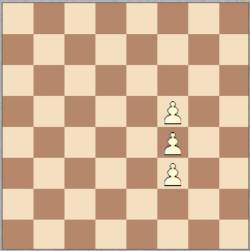 In the position above both players know how to play good chess moves. 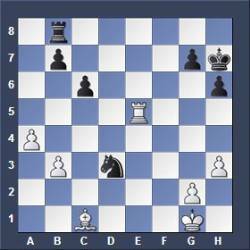 White has developed his kingside pieces first (Bishop and Knight) and castled afterwards. This is excellent play. Black does the same, he had to develop his queenside knight first to protect his e-pawn but will soon follow up getting his kingside bishop out to be able to castle early. 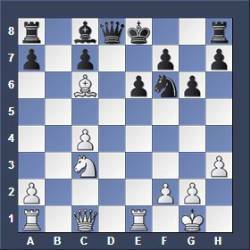 Learn strong opening chess moves played by chess grandmasters. In the positions above White has executed a fork. This means he has attacked two pieces at the same time. In the left diagram he will win the knight, in the right he will get a rook for a bishop as Black will play Bd7 to protect against the check. After this the rook will be protected by the queen. White will capture the rook a8. This is called "winning the exchange". 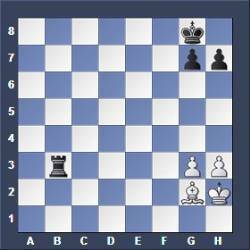 A rook has a value of 5 pawns, a bishop has a value of 3 pawns only. 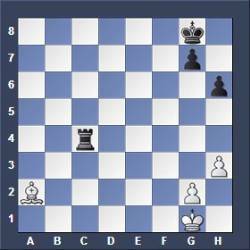 This means White has gained a material advantage as the rook has more value than the bishop. Among strong players running into a fork is deadly and usually loses the game as you lose a lot of material immediately and will most likely not win it back. If your opponent is weak then you might have a chance to make up for it and win material back, but among club players you might as well resign as you have no chance to recoup the material. If you continue to play on, your opponent will finally win in the endgame with minimal risk as he has more material. He just has to simplify and trade off as many pieces as possible and then you will feel his material advantage more and more. In the end he might have a king and a few pawns plus a knight or bishop versus your king and pawns only. 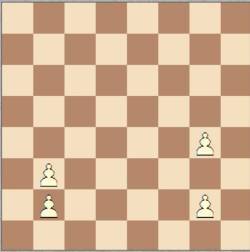 White moves in both diagrams above. 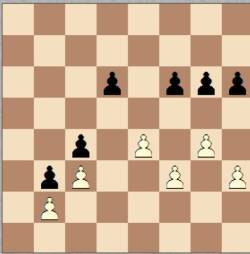 In the left diagram White ran into a fork and will lose a piece as the black knight has attacked two pieces at the same time. White can save only one piece, the rook or the knight. He must decide which one. He will move the rook away to save it as it is more valuable than a knight. 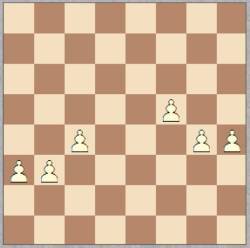 In the right diagram White moves and can win the game outright. He can apply a deadly fork playing Bd5+ which gives check and attacks the rook at the same time. 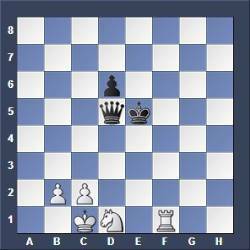 This strong move wins the rook, after this White will win the game easily having a bishop versus "nothing". 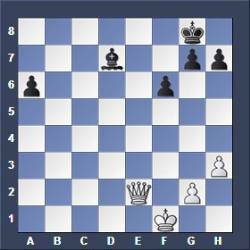 As Black has no piece left to defend his pawns the white bishop will win all pawns in coordination with the king. In the left diagram Black moves but can't avoid losing the rook as it is pinned. This loses the game outright as Black has no chances anymore as his material disadvantage is very high. 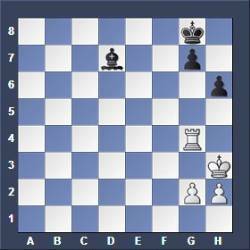 White will win easily "being a bishop up". In the right diagram White moves. Blacks knight is pinned but protected by a pawn. White simply attacks it now with a pawn playing 1.d3!. The knight can't move away so it will be captured next move by the pawn. Black moves in both positions above. 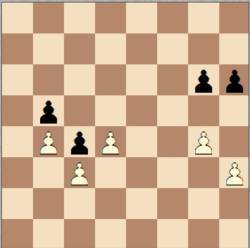 In the left diagram Black should not capture the rook giving his bishop for rook. There is a better move than that! He simply attacks the rook again with a pawn (playing 1..h5!) and captures the rook next move. This way he saves material as he gets the rook for free! After winning the rook he will win the game easily. In the right diagram Black moves and can win outright. He pins the queen playing 1...Bb5. Next move he will capture it giving the bishop for queen. Then Black has four pawns versus two pawns and will win. 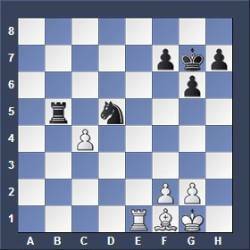 Sometimes you have to sacrifice a piece or a pawn to gain tactical or positional compensation for it. If you get nothing then don't sacrifice anything or you lose in the endgame because of lack of material. 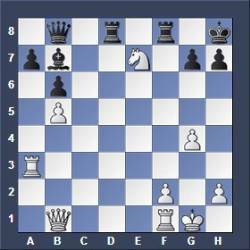 In the positions below White sacrifices the queen but can give checkmate after this. White moves in both positions above. 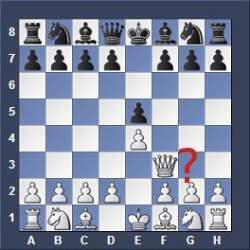 In the left diagram White sacrifices his queen to be able to give checkmate. 1.Qxf7+ RxQ 2.Rd8++ mate. 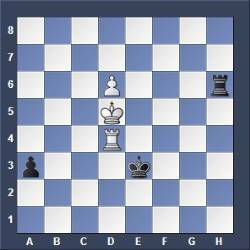 The black rook can't retreat to f8 as it is pinned by the bishop. 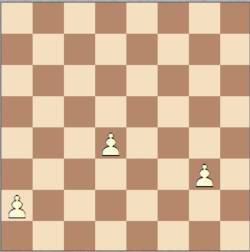 In the right diagram White can sacrifice his queen to achieve a checkmate. He plays 1.Qxh7+ KxQ 2.Rh3++ mate. In a pseudo sacrifice, you offer a sacrifice but you will soon regain material of the same or greater value. If the players agree to a draw. They can do this anytime. Once a draw offer has been made, it cannot be withdrawn. If the other player continues to play on, the offer is no longer in effect. You should offer a draw after you made a move, but before you press the clock. If there is insufficient material to achieve a checkmate. 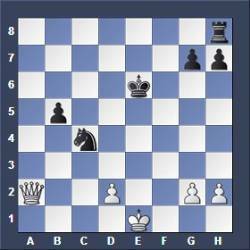 You cannot give checkmate with king and lightpiece (bishop or knight) only. In the position below Black has to make a move, but he can't. This is a draw. If there has been three times the same position with the same player to move (Threefold Repetition Rule). If you intend to get a draw by repeating the same position for the third time then you have to announce this before you make the move which will repeat the position the third time. The game is not automatically drawn if a position occurs for the third time but you, on your move turn, must claim the draw with the arbiter. A perpetual check, where you give a series of checks, from which the other player cannot escape, is a draw. 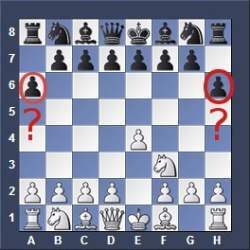 In the left diagram below you see connected pawns. These pawns can protect each other. This is a good pawn structure. In the right position you see double pawns. They can't protect each other and are hard to defend. A bad structure. In the left diagram below there are isolated pawns. These pawns have no neighbours. When attacked they must be protected by pieces. This is a weak pawn structure. In the right position you see triple pawns. They can't protect each other and are even worse than double pawns. Left diagram: The white passed Pawn on d4 below will pose a permanent dangerous threat as it will move ahead sooner or later, promoting into a queen. Right diagram: The black backward Pawn on d6 is weak because it has lost its connection to its neighbours. Soon it will be attacked by the opponents pieces. It will be difficult to defend it as it is weak like an isolated pawn.